Another ABLLS-R aligned resource. It includes 16 vocabulary. 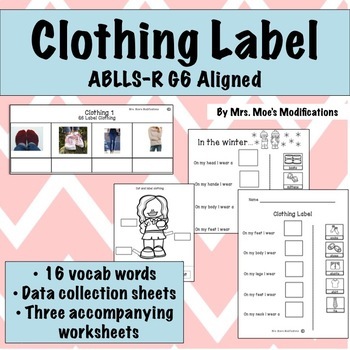 There includes visuals with real pictures to make velcro tasks to use as independent work or for teaching clothing items. Included is a data tracking sheet organized by each page so it is easy to collect and monitor data. 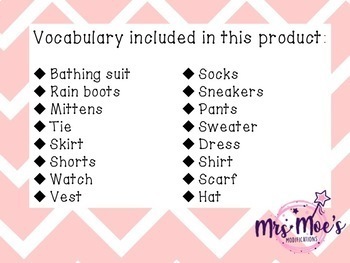 There are also three worksheets included in this product. They are all cut and paste labeling additional activities. If you like this product, please see my store for additional labeling activities.